Music has been known to be a healing force in the Universe. We would like to welcome you to our office. The power of the music will heal your soul. Our musical examination of "OLD SCHOOL" Blues and Jazz, includes the music of Grover Washington, Jr., B.B. King, The Crusaders and Al Green just to name a few - Guaranteed to make the party rock. WHAT HAPPENED TO REAL MUSIC? 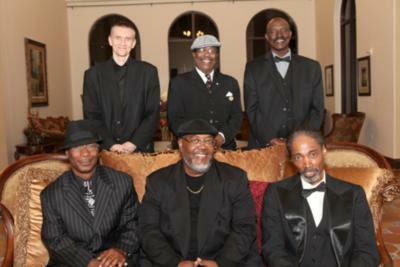 It is our mission to keep OLD School Rhythm & Blues and Jazz alive. Blues Therapy & Jazz has been healing souls for the past 20 years. Based in South Florida, the band plays gigs from West Palm to the Keys, but will travel if our services are needed, playing Festivals, Night Clubs and private parties. We come to take care of business. With the kind of music that puts you in the groove, we aim to please -- we deliver dirty blues, thumpin' soul and smooth jazz. Every time we play, bandleader, Johnnie Riles, reminds us of why we call ourselves "The Doctors of Rhythm & Blues." "Music has been known to be a healing force in the Universe" he tells the crowd, "As we go along tonight, you will feel that healing start to take place". 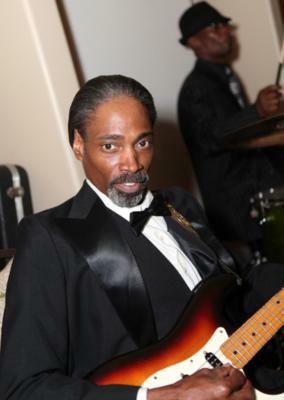 Johnnie started the band in the early 1990s in an Opa-locka, FL storage unit, and has cultivated it into a tight, professional, six-man entity with an abundance of experience, versatility, musicianship and most of all, energy. No lackluster, clock-watching performances for us. We come out smoking, and we don't stop. We have a good time among ourselves, and the audience can't help but do the same. We've landed regular, recurring gigs at local clubs, including every Saturday night for two years at the Downtowner Saloon in Fort Lauderdale. Plus, we've played higher profile concerts at Miami Dolphins games, the FedEx Orange Bowl, the City of Fort Lauderdale SunTrust Jazz Brunch, a Tavis Smiley C-SPAN TV show and many festivals. We've got the chops to deliver dirty blues to thumpin' soul to smooth saxophone jazz to complex bebop -- and ballads. We like to mix up so the audience gets to hear some of everything. That's what we call Blues Therapy & Jazz. Please note Blues Therapy & Jazz will also travel to Dania, Hollywood, Pompano Beach, Coconut Creek, North Lauderdale, Lighthouse Point, Hallandale, Pembroke Pines, Coral Springs, Miramar, Miami, Deerfield Beach, Parkland, Opa Locka, Boca Raton, Miami Gardens, Hialeah, Miami Springs, Miami Beach, Delray Beach, Coral Gables, Boynton Beach, Key Biscayne, Lantana, Lake Worth, Greenacres City, West Palm Beach, Palm Beach, Royal Palm Beach, Princeton.